B. Brazos Valley consists of the following Counties (With Brazos County in the Center, all Counties which touch it’s boarders Brazos, Burleson, Grimes, Leon, Madison, Robertson and Washington. 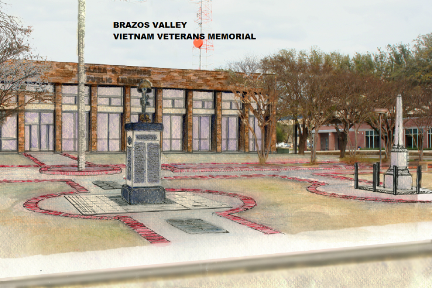 C. All Names will be reviewed and approved by a majority vote of Chapter 937 membership before adding to the monument. D. The names will be grouped by County where qualified in A above.